December 4, 2017 – Air Force Gen. Jay Raymond, commander of Air Force Space Command, became the Joint Force Space Component Commander today, taking operational responsibility for employment of all joint space forces. Air Force Gen. John Hyten, commander of U.S. Strategic Command, presided over the ceremony, inactivating USSTRATCOM’S Joint Functional Component Command for Space. The inactivation is part of a broader USSTRATCOM restructure of its components to build a coherent and streamlined warfighting structure to improve the nation’s space warfighting effectiveness, which ultimately enhances the lethality of U.S. joint forces. The ceremony marked the initial operating capability, or IOC, for the new structure. This action will not change AFSPC’s mission. In his dual-hatted roles as both commander of AFSPC and as JFSCC, Raymond will be responsible for the organizing, training and equipping of Air Force space forces as well as for executing operational command and control of joint space forces. This will increase integration with the other USSTRATCOM operational component commanders. While Raymond will have two separate staffs; they will be fully synchronized to enhance joint space warfighting capability and OT&E efforts. Additionally, AFSPC has been designated Air Forces Strategic-Space (AFSTRAT-Space) to highlight and strengthen that critical warfighting role we play as USSTRATCOM’s Air Force Service Component. “What has occurred here today – the creation of a Joint Force Space Component Commander – will help change the collective mindset of space forces from providers of space capabilities to warfighters,” said Raymond. No positions are being created or eliminated as part of the restructure. The former JFCC Space staff will form the core of the new JFSCC staff to enable Raymond to effectively command the joint space forces. 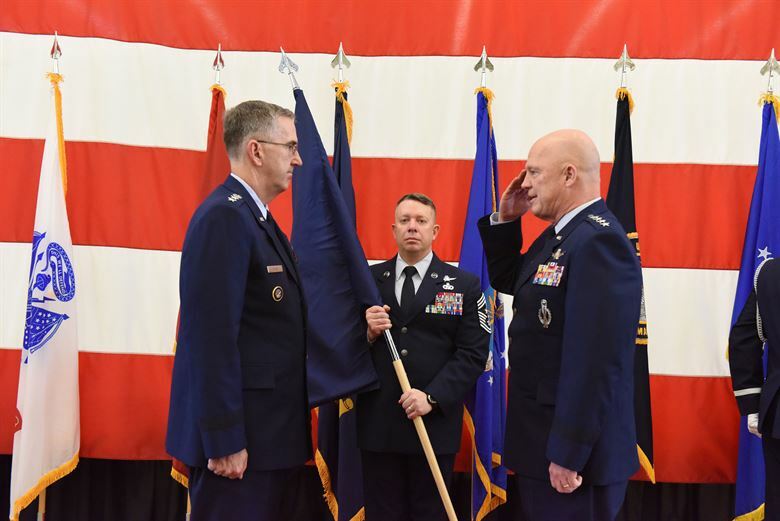 Also as part of the day’s ceremonies, Air Force Maj. Gen. Stephen Whiting took command of 14th Air Force and also became the Deputy Joint Force Space Component Commander. Whiting was the JFSCC Integration Team Lead and Director of Integrated Air, Space, Cyberspace and Intelligence, Surveillance and Reconnaissance Operations at Headquarters AFSPC at Peterson AFB, Colorado. Air Force Lt. Gen. David Buck, relinquished command of 14th AF and retired after serving in the Air Force for more than 40 years. The USSTRATCOM restructure is intended to build a simple and coherent organizational structure, enabling cleaner command and control of forces and lines of authority. The restructure brings the command more in line with that of other combatant commands. In addition to the JFSCC, USSTRATCOM has a Joint Force Air Component Commander and will have a Joint Force Maritime Component Commander. JFCC Integrated Missile Defense remains in place until the conclusion of the Ballistic Missile Defense Review, at which point it will be restructured as appropriate and required.